It's hard to believe that it's only been 5 episodes--it has been quite a routine for me on Tuesday night to grab the newest episode of Another, wait till sometime late at night when all noises are settled, turn off all my lights and start watching it in the darkness. While I'm actually quite easily spooked, still, I think setting up the environment to match the darkness is the only right way to watch any horror series, especially for mystery horror like Another. So far, Another has been more or less the best horror series I've seen for a while. The last semi-decent horror series I recall seeing was Kaidan Restaurant which came out in 2009 and was somewhat oriented towards kids. 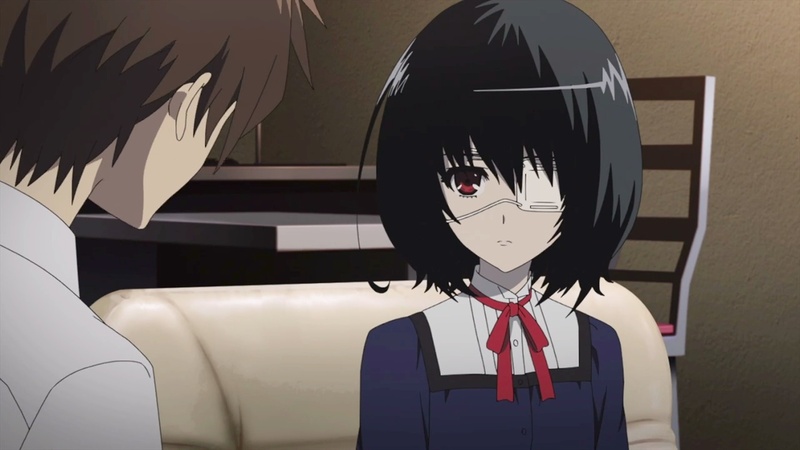 Episode 5 of Another reveals some pretty big thing we've been puzzling since like episode 1. However, doing so didn't quite make things clearer, in fact, it made it bit more complicated because now a new puzzle is revealed in front of us and waiting to be solved. But I do like where this series is heading. dude who is the dead ?? in your own observation.